Bissell Distinguished Professor, Electrical and Computer Engineering Department, UNC-Charlotte, 4/2009 – present. Faculty members for Optical Science and Engineering program and Nanoscale Science Ph.D. Program at UNC-Charlotte. Senior Scientist II, Materials and Computational Science Center, NREL, 2006 – 2009. Senior Scientist I, Center for Basic Sciences, NREL, 1997 – 2005. Postdoc, Center for Basic Sciences, NREL, 1994 – 1997. Visiting Researcher, Physics Department, Dartmouth College, 1/1989 – 1/1990. Researcher, Physics Department, Xiamen (Amoy) University, China, 1987 – 1989. 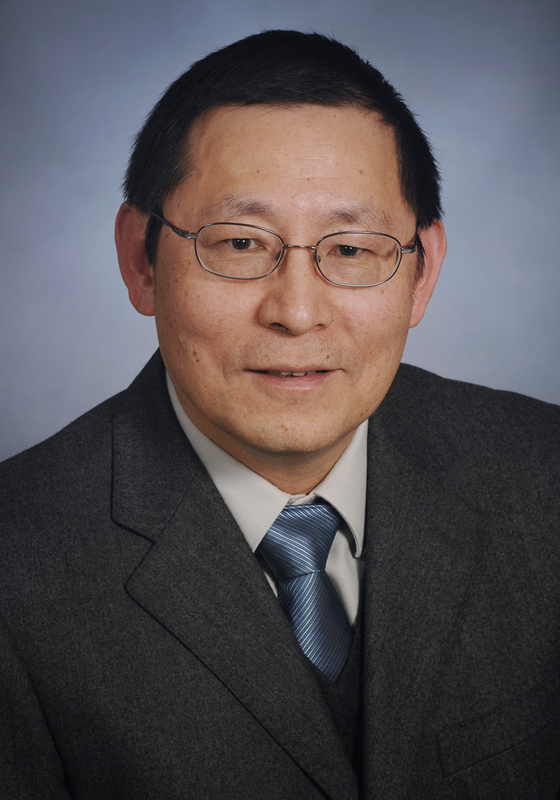 Engineer, Xiamen United Development Co. Ltd., Xiamen, China, 1985 – 1987.
c) “Chaires d’excellence” Invited Professor of Nanosciences Foundation (France), NPSC team of CEA-CNRS-UJF, Grenoble, 2010-2012.
d) Academic Committee member, State Key Laboratory of Photovoltaic Science and Technology, Changzhou, China (2010 – 2015). Changkui Hu, Qiong Chen, Fengxiang Chen, T.H. Gfroerer, M.W. Wanlass and Yong Zhang, Overcoming diffusion-related limitations in semiconductor defect imaging with phonon-plasmon coupled mode Raman scattering, Light: Science and Applications 7, 23 (2018). Henan Liu, Yong Zhang, Elizabeth H. Steenbergen, Shi Liu, Zhiyuan Lin, Yong-Hang Zhang, Jeomoh Kim, Mi-Hee Ji, Theeradetch Detchprohm, Russell D. Dupuis, Jin K. Kim, Samuel D. Hawkins, and John F. Klem, Raman scattering study of lattice vibrations in type II superlattice InAs/InAs1-xSbx, Phys. Rev. Appl. 8, 034028 (2017). Qiong Chen, Sergio Bernardi, and Yong Zhang, Spatially-resolved laser induced modification Raman spectroscopy for probing the microscopic structure variations in quaternary alloy CZTSe, Phys. Rev. Appl. 8, 034008 (2017). Liqin Su, Yifei Yu, Linyou Cao, and Yong Zhang, In Situ Monitoring of the Thermal-Annealing Effect in a Monolayer of MoS2, Phys. Rev. Appl. 7, 034009 (2017). Qiong Chen, Henan Liu, Hui-Seon Kim, Yucheng Liu, Mengjin Yang, Naili Yue, Gang Ren, Kai Zhu, Shengzhong Liu, Nam-Gyu Park, and Yong Zhang, Multiple-Stage Structure Transformation of Organic-Inorganic Hybrid Perovskite CH3NH3PbI3, Phys. Rev. X 6, 031042 (2016). Erratum: Phys. Rev. X 7, 019902 (2017). Jianwei Wang and Yong Zhang, Topologic connection between 2-D layered structures and 3-D diamond structures for conventional semiconductors, Sci. Rep. 6: 24660 (2016). Jason K. Marmon, Satish C. Rai, Kai Wang, Weilie Zhou, and Yong Zhang, Light-Effect Transistor (LET) with Multiple Independent Gating Controls for Optical Logic Gates and Optical Amplification, Front. Phys. 4, 8 (2016). Zhiqiang Liu, Xiaoyan Yi, Zhiguo Yu, Gongdong Yuan, Yang Liu, Junxi Wang, Jinmin Li, Na Lu, Ian Ferguson, Yong Zhang, Impurity Resonant States p-type Doping in Wide-Band-Gap Nitrides, Sci. Rep. 6:19537 (2016). Liqin Su and Yong Zhang, Temperature coefficients of phonon frequencies and thermal conductivity in thin black phosphorus layers, Appl. Phys. Lett. 107, 071905 (2015). Jianwei Wang, Yong Zhang, and Lin-Wang Wang, Systematic approach for simultaneously correcting the band-gap and p−d separation errors of common cation III-V or II-VI binaries in density functional theory calculations within a local density approximation, Phys. Rev. B 92, 045211 (2015). Henan Liu, Naili Yue, Yong Zhang, Pengfei Qiao, Daniel Zuo, Ben Kesler, Shun Lien Chuang, Jae-Hyun Ryou, James D. Justice, and Russell Dupuis, Lattice vibration modes in type-II superlattice InAs/GaSb with no-common-atom interface and overlapping vibration spectra, Phys. Rev. B 91, 235317 (2015). Bingpo Zhang, Ping Lu, Henan Liu, Lin Jiao, Zhenyu Ye, M. Jaime, F.F. Balakirev, Huiqiu Yuan, Huizhen Wu, Wei Pan, and Yong Zhang, Quantum Oscillations in a Two-Dimensional Electron Gas at the Rocksalt/Zincblende Interface of PbTe/CdTe (111) Heterostructures, Nano Lett. 15, 4381(2015). Fengxiang Chen, Yong Zhang, T. H. Gfroerer, A. N. Finger, and M. W. Wanlass, Spatial resolution verse data acquisition efficiency in mapping an inhomogeneous system with species diffusion, Sci. Reps. 5, 10542 (2015). Yong Zhang and Jianwei Wang, Bound exciton model for an acceptors in a semiconductor, Phys. Rev. B 90, 155201 (2014). Henan Liu, Yong Zhang, Yuanping Chen and Priyalal S. Wijewarnasuriya, Confocal micro-PL mapping of defects in CdTe epilayers grown on Si (211) substrates with different annealing cycles, J. Electron. Mat. 43, 2854 (2014). Liqin Su, Yong Zhang, Yifei Yu, and Linyou Cao, Dependence of coupling of quasi 2-D MoS2 with substrates on substrate types, probed by temperature dependent Raman scattering, Nanoscale 6, 4920 (2014). Qiong Chen and Yong Zhang, The reversal of the laser-beam-induced-current contrast with varying illumination density in a Cu2ZnSnSe4 thin-film solar cell, Appl. Phys. Lett. 103, 242104 (2013). L. Yue, Y. Zhang, and R. Tsu, Ambient condition laser writing of graphene structures on polycrystalline SiC thin film deposited on Si wafer, Appl. Phys. Lett. 102, 071912 (2013). H. Gfroerer, Y. Zhang, and M. W. Wanlass, An extended defect as a sensor for free carrier diffusion in a semiconductor, Appl. Phys. Lett. 102, 012114 (2013). Y. Lin, Y. Zhang, Z. Q. Liu, L. Q. Su, J. H. Zhang, T. B. Wei, and Z. Chen, Spatially resolved study of quantum efficiency droop in InGaN light-emitting diodes, Appl. Phys. Lett. 101, 252103 (2012). Y.. Zhang, Z. Wu, J. Zheng, X. Lin, H. Zhan, S. Li, J. Kang, J. Bleuse, H. Mariette, ZnO/ZnSe type II core–shell nanowire array solar cell, Solar Energy Materials and Solar Cells 102, 15 (2012). X. Wang, R. Yang, Y. Zhang, P. Zhang, and Y. Xue, Rare earth chalcogenide Ce3Te4 as high efficiency high temperature thermoelectric material, Appl. Phys. Lett. 98, 222110 (2011). Y. Zhang and L. W. Wang, Global electronic structure of semiconductor alloys through direct large-scale computations for III-V alloys GaxIn1−xP, Phys. Rev. B 83, 165208 (2011). Z. M. Wu, Y. Zhang, J. J. Zheng, X. G. Lin, X. H. Chen, B. W. Huang, H. Q. Wang, K. Huang, S. P. Li,� and J. Y. Kang, An all-inorganic type-II heterojunction array with nearly full solar spectral response based on ZnO/ZnSe core/shell nanowires, J. Mater. Chem. 21, 6020 (2011). K. Wang, J.-J Chen, Z. Zeng, J. Tarr, W.-L. Zhou, Y. Zhang, Y.-F Yan, C.-S Jiang, J. Pern, and A. Mascarenhas, Synthesis and Photovoltaic Effect of Vertically Aligned ZnO/ZnS Core/Shell Nanowire Arrays, Appl. Phys. Lett. 96, 123105 (2010). Y. Zhang and R. Tsu, Binding graphene sheets together using Silicon � Graphene/Silicon superlattice, Nanoscale Research Letters 5, 805(2010). X. F. Lu, D.A. Beaton, R.B. Lewis, T. Tiedje, and Y. Zhang, Composition Dependence of Photoluminescence of GaAs1-xBix Alloys, Appl. Phys. Lett. 95, 041903 (2009). Y. Xue, Y. Zhang, and P.-H. Zhang, Theory of the color change of NaxWO3 as a function of Na-charge doping, Phys. Rev. B 79, 205113 (2009). Y. Zhang, C.-S. Jiang, D. J. Friedman, J. F. Geisz, and A. Mascarenhas, Tailoring the electronic properties of GaxIn1-xP beyond simply varying alloy composition, Appl. Phys. Lett. 94, 091113 (2009).